I realize this is now Tank Nation, but let's win this one. Let's play spoilers with our arch rivals and help push the Montreal Canadiens out of the NHL playoffs. Montreal is sitting in 8th place. The Panthers are only a point back. It's important we do our part to return Bryan McCabe to the dance! Let's kick it old school. Let's cheer on our team tonight. 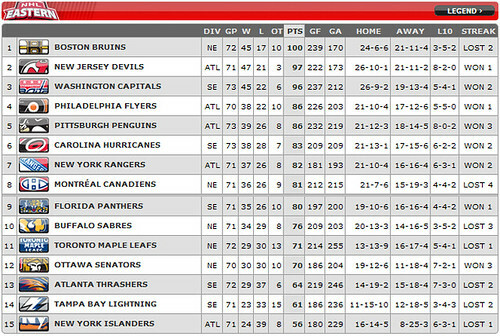 more importantly you guys could come within three points of the Sabres in the standings to take over 1oth place, Go Leafs Go!